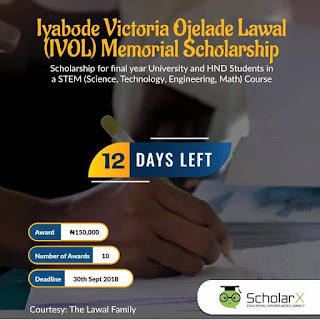 Apply for the Iyabode Victoria Ojelade Lawal (IVOL) Memorial Scholarship for Final Year University and HND Students in a STEM [Science, Technology, Engineering, Math] Course for 2018 Session. 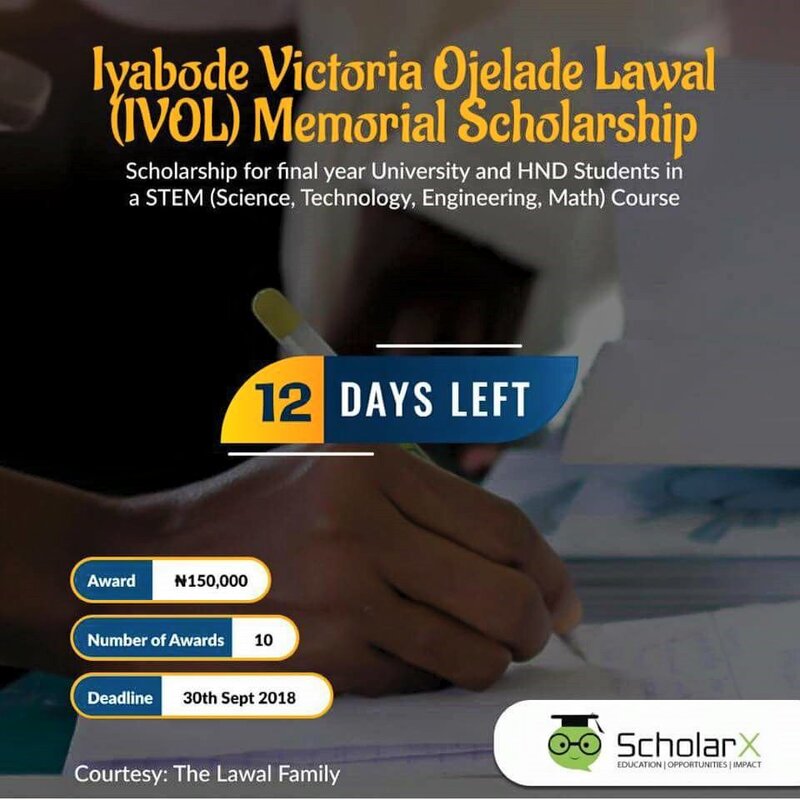 Applications are kindly invited from Final Year University and HND Students to the Iyabode Victoria Ojelade Lawal (IVOL) Memorial Scholarship for [Science, Technology, Engineering, Math] Course for 2018 Session. English Language Requirements: Applicants are expected to be proficient in both written and spoken English. Number of Scholarships: 10 Scholarships are Available. Only Registered ScholarX users can apply for this Scholarship. Register Now! Submit the 200 Words of Essay, a Business Model Canvas and proof of enrollment in a University or Polytechnic to applications@scholarx.co on or before 30th September 2018.